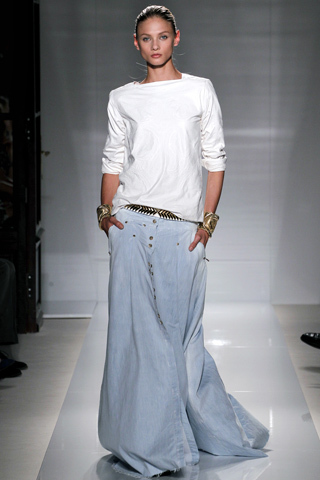 Maxi skirts are one of the greatest designs of all time… a bold statement, I know, but I stand by it. They are unbelievably comfortable, chic, and versatile. If you don’t own a maxi skirt, then I seriously recommend you sprint to your car, start her up, and go shopping for one. 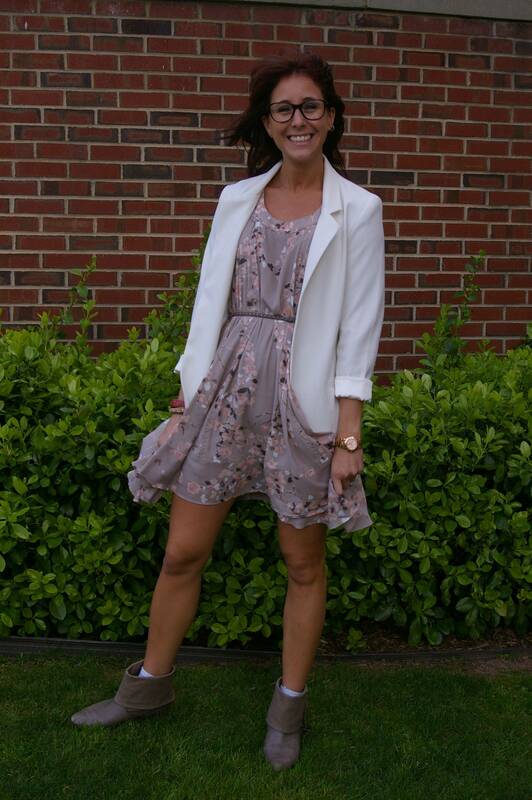 A cute, floral maxi skirt like the one shown here, is perfect for the months to come. Here I have offered three different ways to wear your maxi skirt, but the possibilities are truly endless. The first look is spring-time casual. Throw a comfy, light sweater over your maxi skirt and add fun accessories like a bright colored bangle, leopard thong sandals, and a fedora. This look is perfect for class, shopping, or brunch. For the second look, I was inspired by the music festival style that is trending right now. Wear an unbuttoned denim shirt over this mix of floral patterns to pull them together, and keep the rest of the accessories neutral. To dress up the maxi skirt a bit, try wearing a silk tank in black, pretty drop earrings, and cool silver pumps. Which outfit is your favorite? 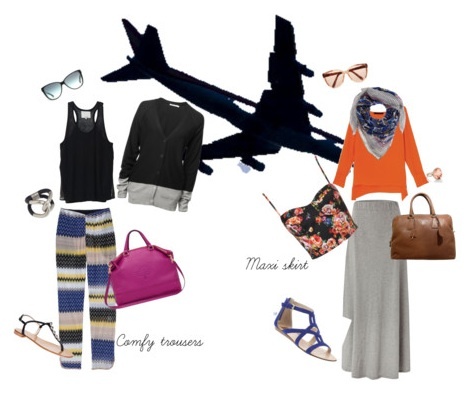 And how do you like to style your maxi skirt? Tell me in the comments! Attempting to keep my skirt from flying up. That would not be a sight passersby want to see. I am proud to say the white blazer has made it from the shopping bag to my body, AND, thus far, I have managed to keep it clean. I like the studded belt with this because it is unexpected, and it toughens up such a feminine, floral dress. When I am tired or have a busy week I tend to reach for easy, breezy dresses and pair them with comfortable flats or booties. This makes for a chic daytime look without lots of fuss. 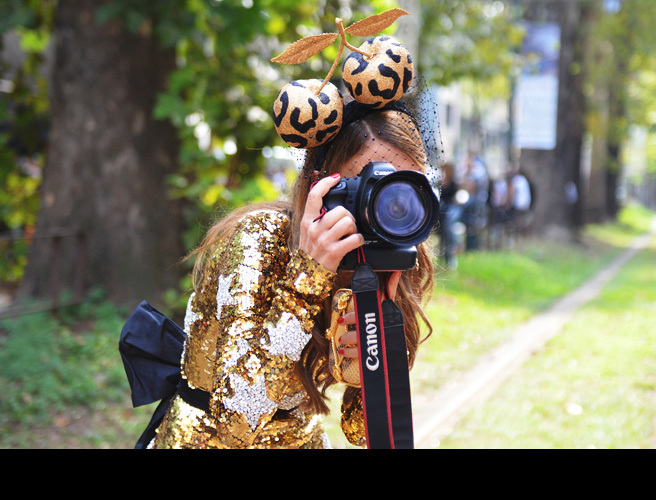 Hope you are also having a fuss-free fashion week! Now that I have some styling ideas, I just need to get over my fear of dirtying my white blazer… Which look do you like best? Tell me in the comments, and have a great weekend!! I am on my way to class, wearing comfortable and casual pieces. 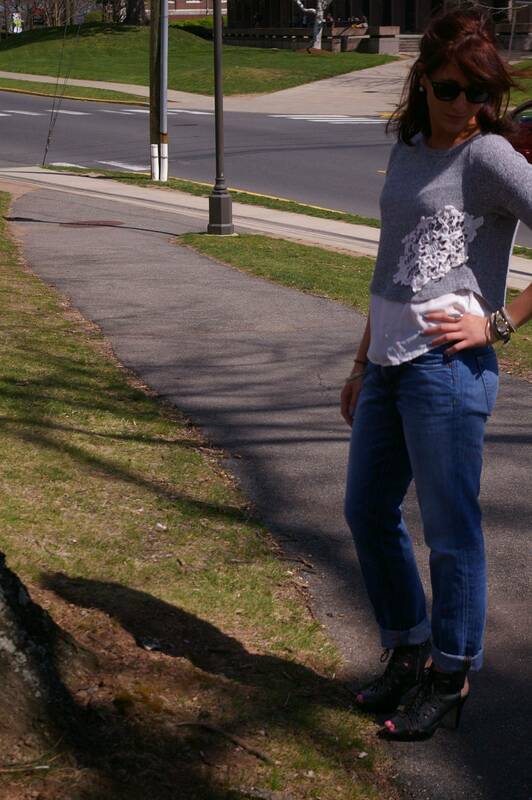 I particularly love these boyfriend jeans – they are so soft and slouchy, without being ill-fitting. What style/brand are your go-to comfy jeans? A couple months ago, I entered a contest to win free shoes for a year from Steve Madden, and I won! (It’s no lottery, but hey I’m certainly not complaining!) 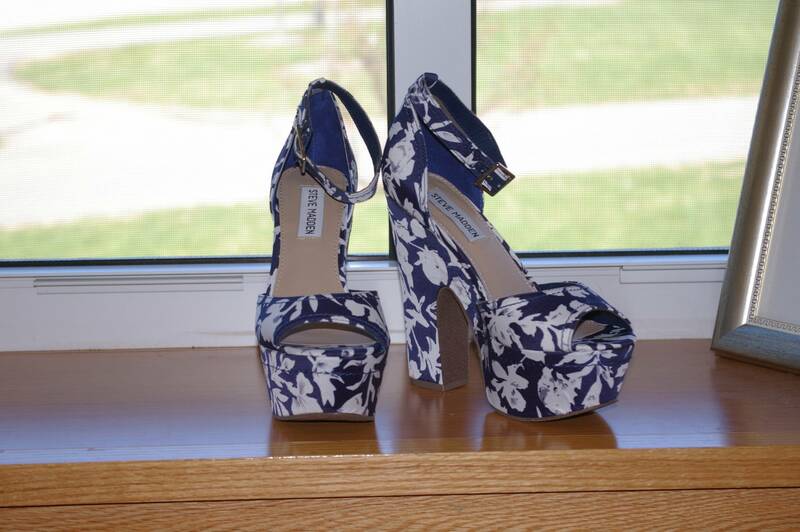 These floral platforms are the first pair I chose – aren’t they adorable? I love how they are reminiscent of the Miu Miu Mary Janes from a few years ago. What fabulous shoes would you pick from Steve Madden? Leave me your ideas in the comments! 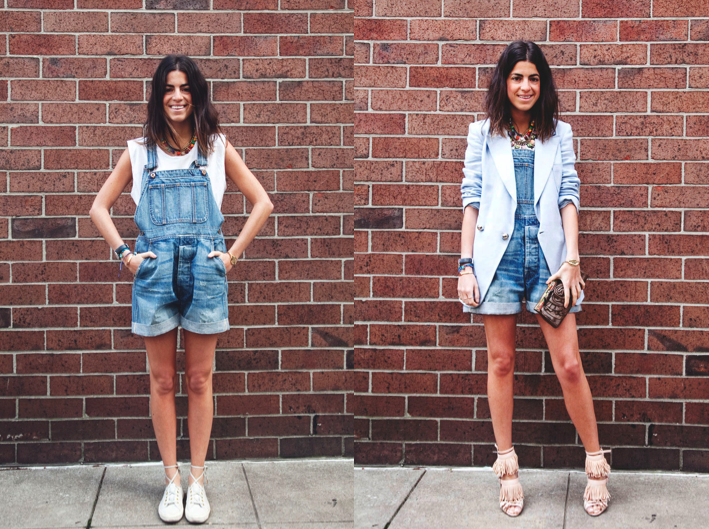 Style Inspiration: Jean skirts are back? The jury is still out for me. 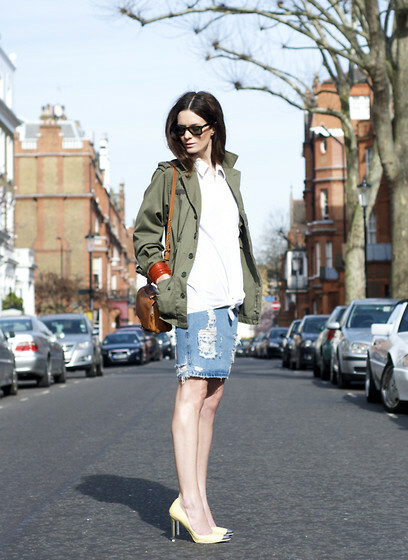 What do you think – will you be flaunting your legs this Spring in a denim skirt? Since the season finale of Project Runway All Stars, I haven’t stopped thinking about this Rorschach inspired dress. I want need this dress. I will literally do anything -climb every mountain, forge every stream, follow every rainbow…(er, you get the point,) until this fabulous item hangs in my closet. The pop of red on the sleeve is a brilliant design detail, and can you believe he made this print himself?! Incredible. Is anyone else as obsessed with Mondo Guerra and his amazing work as I am?